Leading Manufacturer of multifunction calibrator and multi-function precision bench calibrator from Chennai. 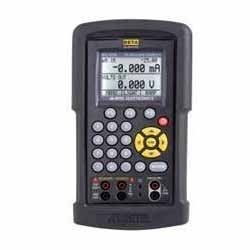 Our company has risen to prominence in the field of manufacturing and supplying of Multifunction Calibrator. The offered calibrator is manufactured by using quality proven components and progressive technology in line with industry norms. Used to measure volts, current, pressure, resistance temperature detectors (RTD’s), thermocouples (TC’s), frequency, our provided calibrator is acknowledged for its varied features. Furthermore, clients can avail this calibrator from us at affordable prices. Keeping in the mind client’s ever-evolving requirement, we are offering an exclusive range of Multi-Function Precision Bench Calibrator. The offered calibrator is manufactured using the best quality components and progressive technology in line with industry norms. 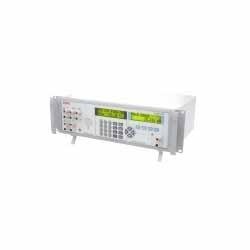 Used in measurement and calibration of signals of industrial field and laboratory, provided calibrator is checked on varied quality measures so as to maintain its quality. In addition to this, we provide this calibrator in variegated designs and sizes.